We provide a wide range of quality and professional uniform clothing to the healthcare and other industrial sectors. When your healthcare, medical or social care staff need professional uniform trousers that support them in their roles, then Alsico has to be your first choice. We sell a great range of carefully designed healthcare trousers that allow your staff to look smart and professional whilst carrying out their roles. You will find work trousers that include straight leg, bootcut and elasticated waist options. 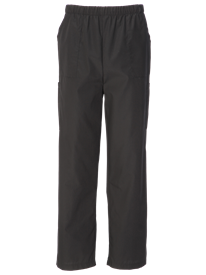 Our work trousers are designed to suit all needs and the rigours of any job. Features and styling offer flexibility of appearance, and clever extras provide functional benefits. Our bootcut healthcare trousers are flattering and comfortable to wear and our straight leg versions are classic. You'll find elasticated-waist work trousers for ease of movement and a comfortable fit. Our work trousers with sewn-in front creases make it easy to retain a smart appearance without needing to iron in creases. We also sell unisex scrub trousers which are highly practical and comfortable. Our workwear range is designed to be washed at industrial temperatures and to require minimal care. Each style comes in a wide range of colours which work perfectly with your organisation's brand and colour styling, and our trousers can be embroidered with your logo for a customised look. You'll find handy integrated pockets, robust seams and finishing, comfortable and generous fits and a complete range of tailored workwear which is designed to allow full range of movement, easy cleaning and rapid drying for busy staff with challenging jobs. We offer excellent prices and bulk buy discounts, along with a wide range of accompanying uniform extras and other services. Contact our team to find out more or order online for rapid delivery and an excellent service.